Shirley ended her stint as hostess of the CCEE Stampers on a fun note -- at a picnic. I have to admit that I struggled with this one. 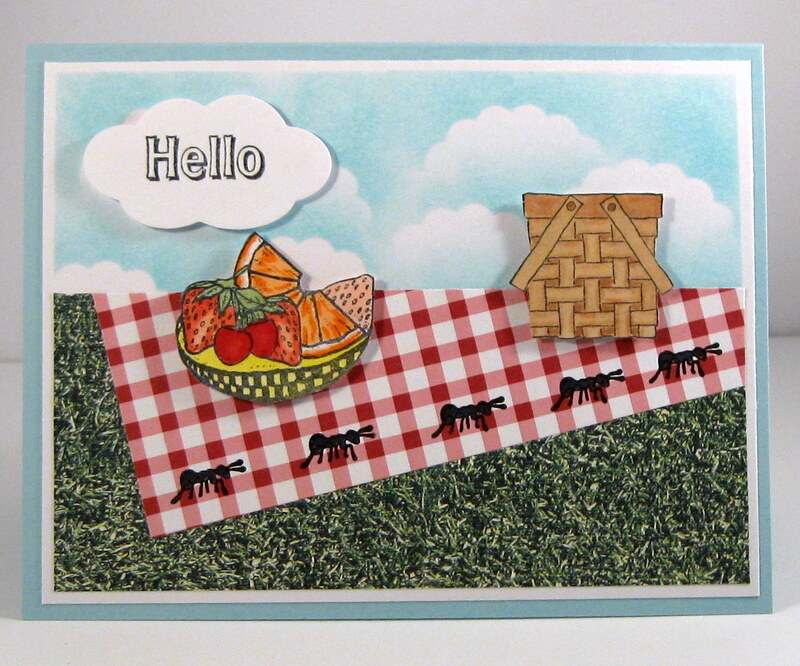 I didn't have a whole lot of stamp choices to make something look like a picnic. 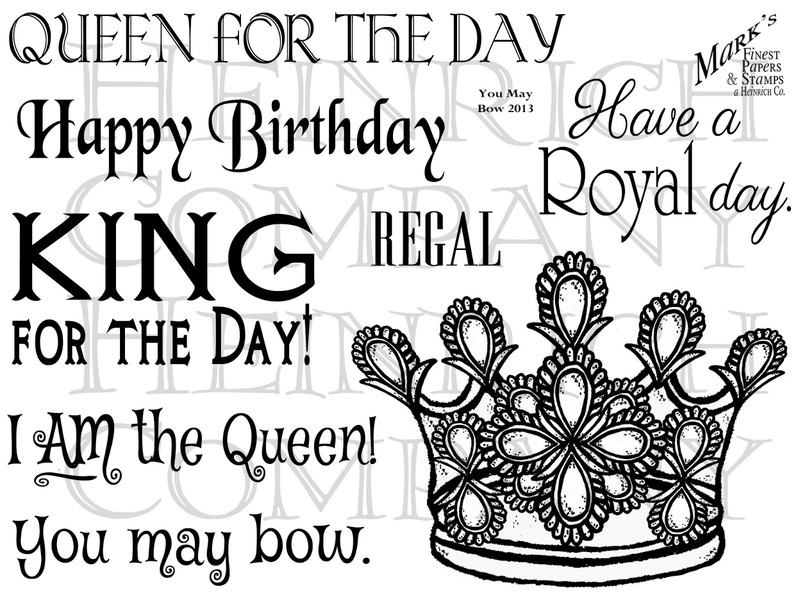 I pulled one image from Mark's Finest Papers and another from Stampin' Up. I even had to go out a buy the ant! I found him on sale at Joann's. I did have that little scene in my head for several days before I was able to finalize it on paper. If you'd like to come to our picnic, hop on over to the CCEE Stampers blog and join in on the fun. This week's Speedy Fox and Friends challenge was definitely a big challenge for me. It was to make a card using the technique Joseph's Coat. I had never done this particular technique before, so I had to find the directions. Once I found them, I gathered my glossy paper, brayer, and spectrum color ink pad. First, my brayer wouldn't turn (not sure why, but it appeared to be "frozen"). I got it to turn a bit, but then I discovered that my spectrum ink pad was dried out in several places. This definitely could have been disastrous. I put on my thinking cap and decided that I would use my dew drop-shaped Memento ink pads and swipe them onto the glossy paper. This actually worked rather well. I then continued with the directions. I'm not completely happy with the results, but I was not going to try this again. I already had two pieces of inked glossy paper in the trash can! Here's my card -- and probably the only card using Joseph's Coat that I will make. If you'd like to give this technique a try, we'd love to see your card. 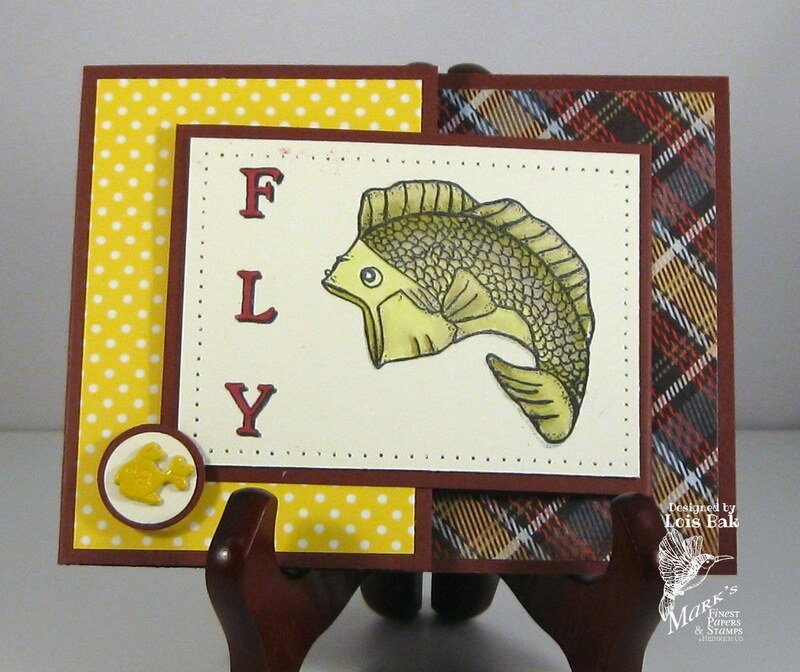 Link it up on the MFP Blog for a chance to win a free set of stamps. 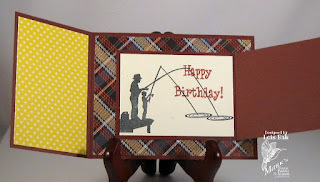 Shirley asked the CCEE Stampers to go fishing this week. My late husband was a big fisherman -- me, not so much! But I did make a card for today. 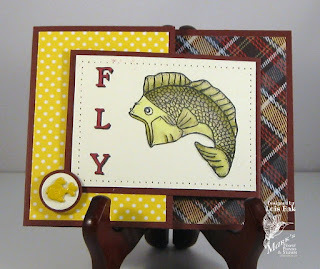 If you'd like to join our fishing trip, stop by the CCEE Stampers blog. I used the acrylic block technique, in which you stamp directly onto an acrylic block and then spritz with water -- then stamp onto paper. 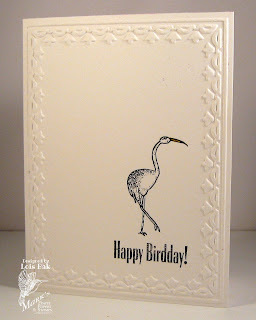 I used watercolor paper and sprayed it with water again after I did my initial stamping, blending it with a waterbrush. 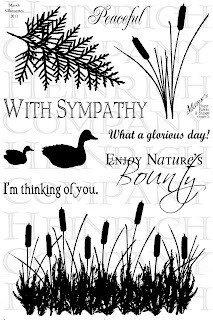 Once the paper was dried, I stamped the cattails silhouette twice to cover the bottom, after which I cut out the window with a circle nestie. I added a few birds at the top. 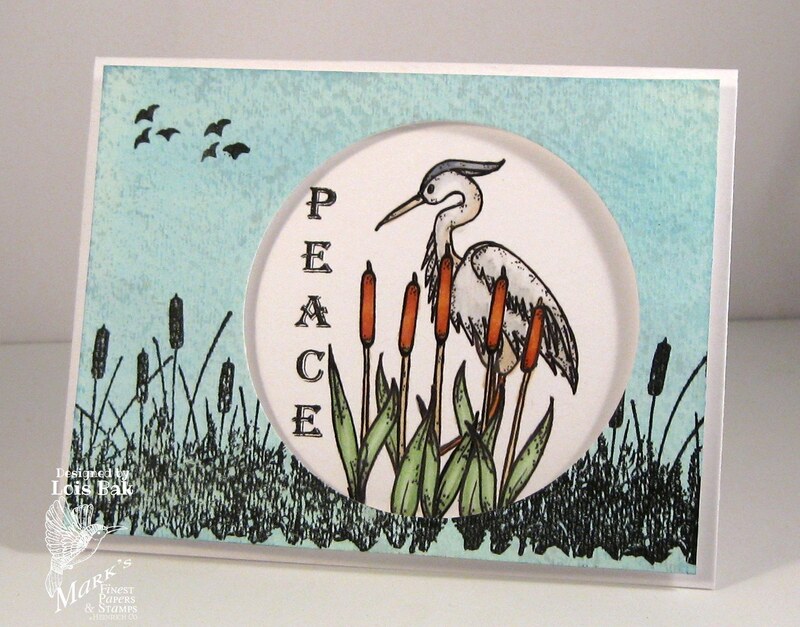 The heron and cattails in the window are two separate stamps. 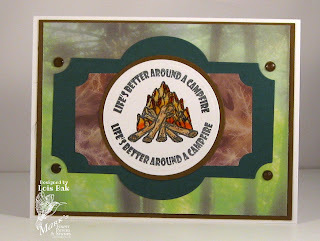 If you'd like to join in on the fun, make some sort of window card (there are many different ways to accomplish this), and link it up to the MFP Blog. 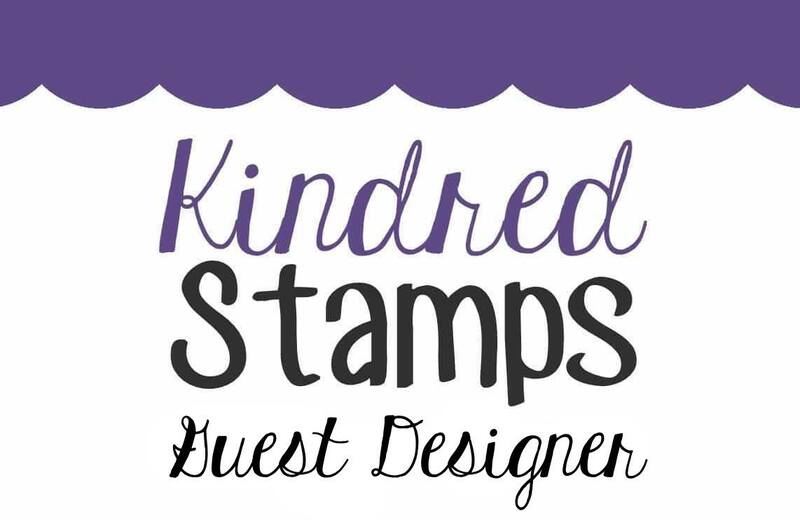 You might just win a free set of stamps. Please hop along with us! You have a chance to win one of the above stamp sets! Just comment on the blogs listed below (don't forget this one), each day for more chances to win! (You do NOT have to comment on all the blogs each day! The names are drawn randomly!) All four winners will be announced on May 18, 2013 on the Mark's Finest Papers blog. You can go back and comment if you missed a day. (HINT: The more you comment, the more chances you have to win and comments on the MFP blog count twice!) The deadline for commenting is 11 PM EST on Friday. May 17, 2013. Today's set is all about the movies. My first card is a triple-feature. Actually, the background is made with a sheet of three paint chips I picked up at The Home Depot. 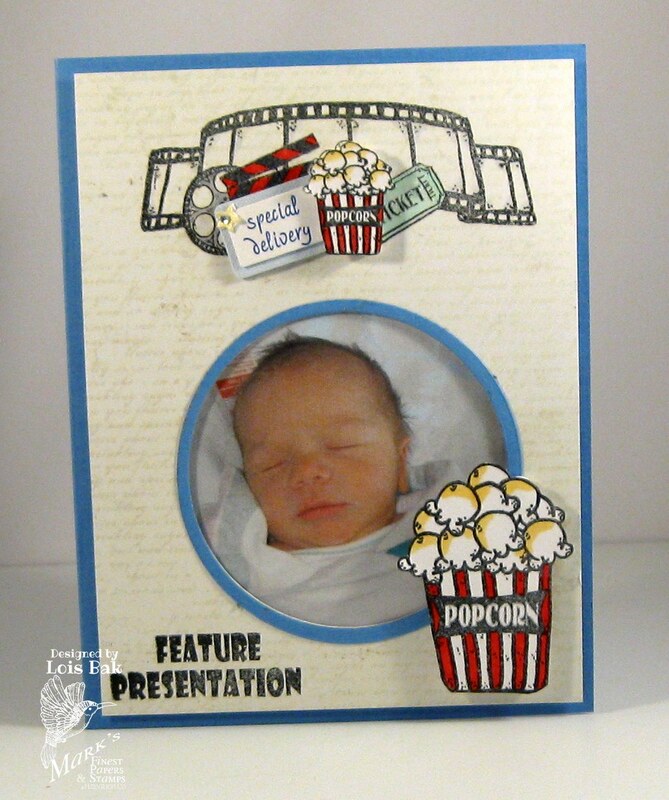 Some of the sentiments in this set lend themselves very nicely to a birth announcement. My grandson William is already four years old, but he's the newest grandbaby I have. So I pulled out a photo my son had taken at the hospital on the day William was born and made a birth announcement. 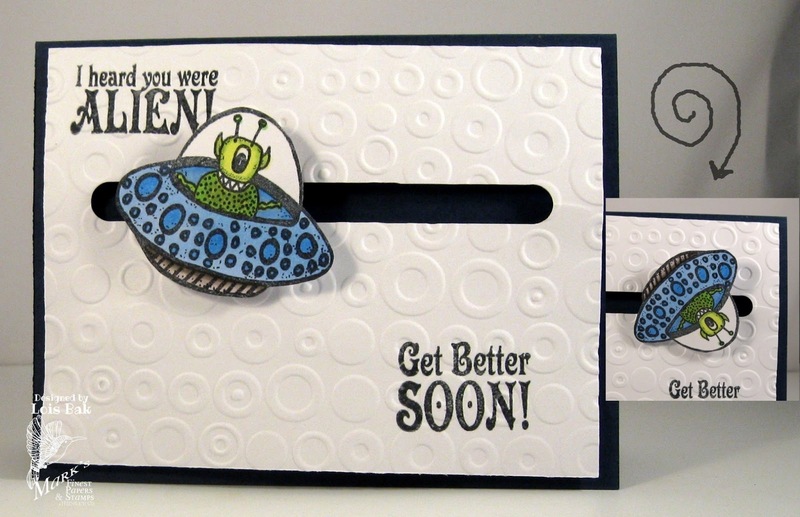 The background is popped up with pop dots, so the recipient could pull out the photo and stick it on the 'fridge! As you could see on my first card, the top image is actually a "happy birthday" image. 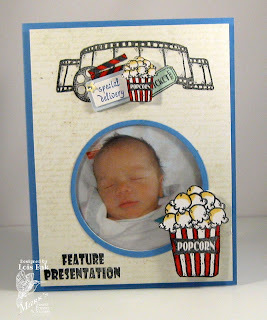 So I put a little embellishment over the "clapperboard" that would be more appropriate for a birth announcement and then popped up the small container of popcorn. 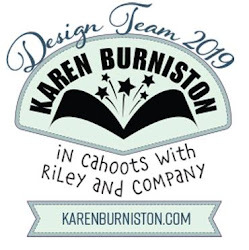 I hope you have gotten lots of inspiration during this week's Blog Hop. 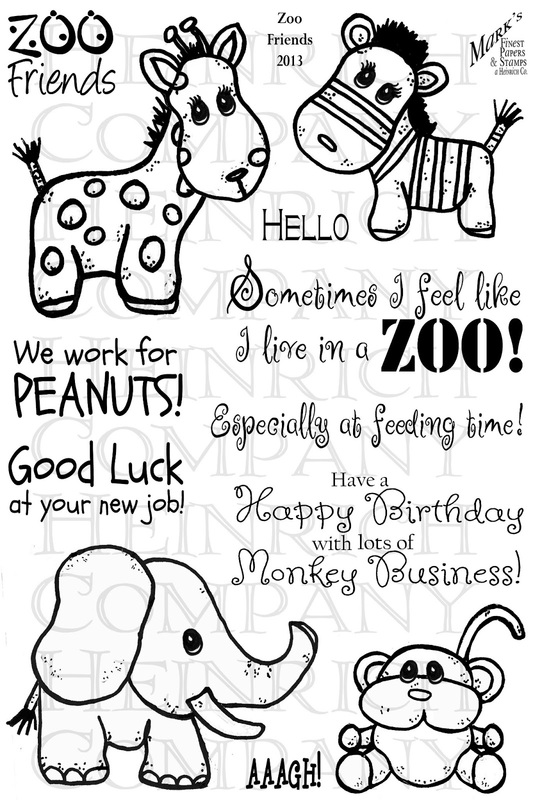 Please check out the cards made by the rest of the design team and comment, comment, comment. 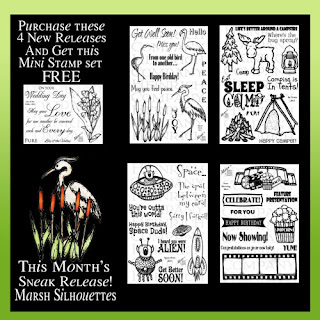 Remember, the more you comment, the more chances you have to win a free stamp set. Today's set is too fun with its cute little aliens and space images. Both my cards today are doing double duty. 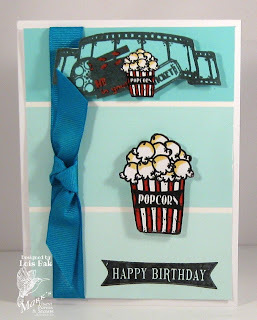 The first one is also for Shirley's CCEE Stampers challenge -- Let it all hang out or over. When I first read the theme for this challenge, I didn't have a clue what it meant. Then I thought -- maybe she meant use the "out of the box" technique. I stamped the alien and cut the Labels 4 shape, leaving part of his body and legs "hang out." 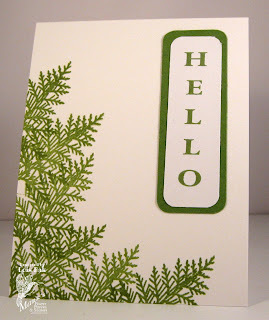 If you want to "hang out" with the CCEE stampers and play along, check out our blog. 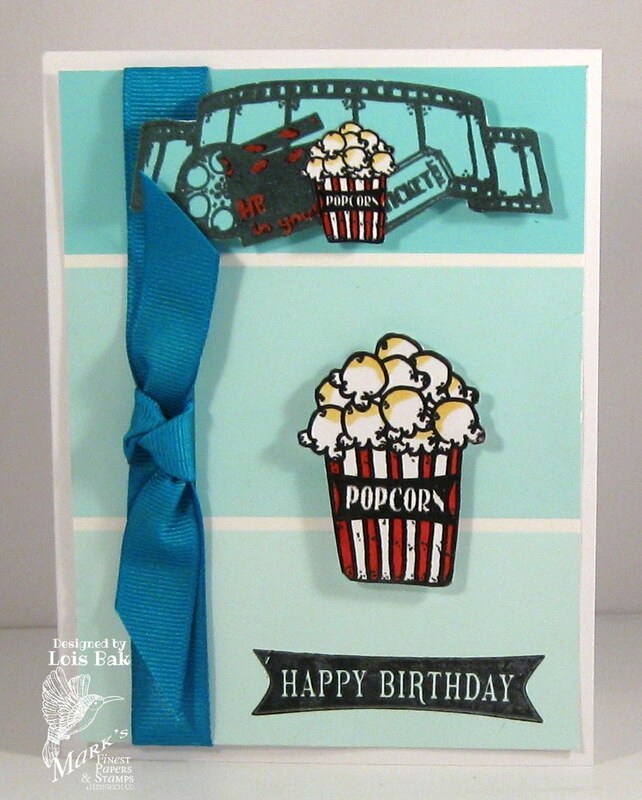 My second card was also made for another challenge -- the Speedy TV Inspiration Challenge. As I'm the hostess for this challenge, I made sure the theme coincided with today's new set. 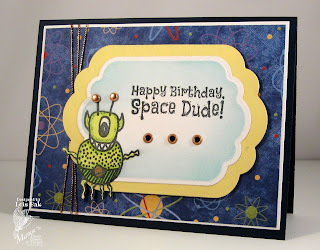 This week's challenge is called appropriately enough "Outer Space." 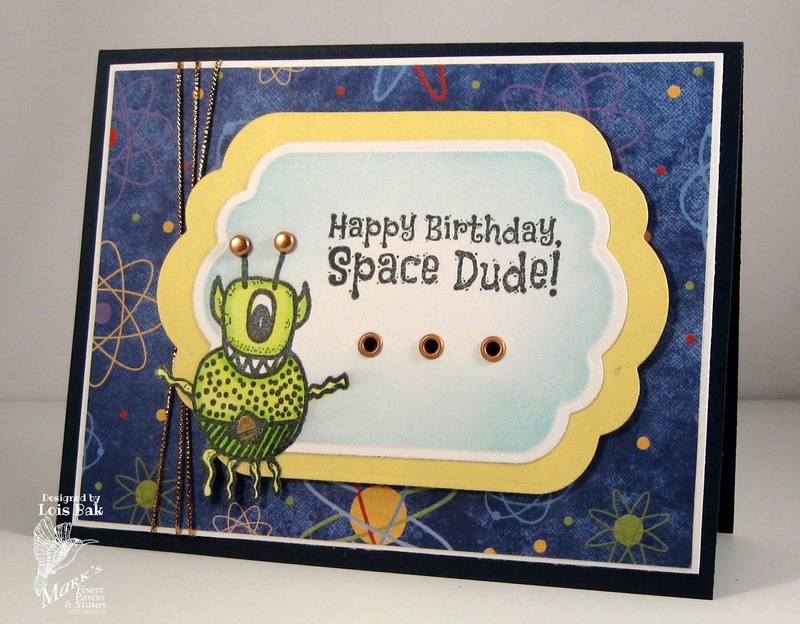 I haven't made a spinner card in a very long time, but that space ship image just screamed "movement." In case you've never played the Speedy TV Inspiration Challenge, I'd love for you to check it out. I post three Pinterest photos and ask that you make a card using one of the photos as inspiration. BTW, all three of my sample cards are different -- only one of them is space-related, even though the theme is "Outer Space." 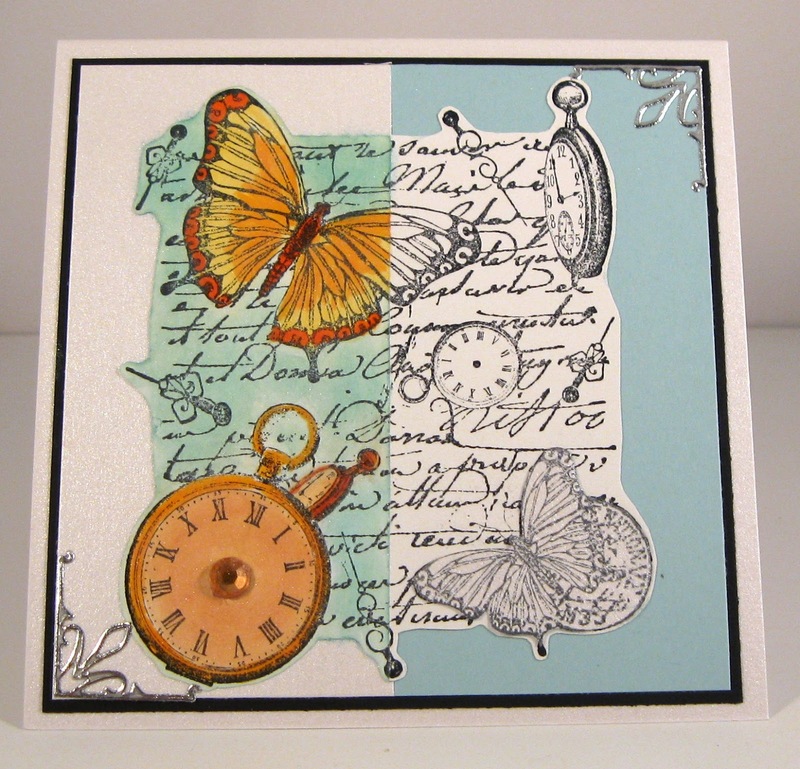 BTW, by participating in the Inspiration Challenge, you have one more chance to win a free stamp set. 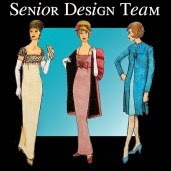 I hope you check out the cards made by the rest of the design team and comment, comment, comment. 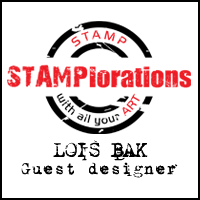 Remember, the more you comment, the more chances you have to win a free stamp set. First off, I have to confess that camping is not my idea of a good time. Two of my grandchildren were Boy Scouts, and they loved to camp -- so I was trying to channel them while making today's cards. There are five images in this set, and I thought I would try to use as many as I could on my first (side-step) card. I succeeded in using four of them, as well as the biggest sentiment stamp. Still channeling my grandsons, I thought the campfire with the long sentiment encircling it looked like a Boy Scout merit badge for camping. What do you think? 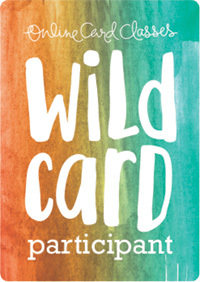 Be sure to check out the cards made by the rest of the design team and comment, comment, comment. Remember, the more you comment, the more chances you have to win a free stamp set. 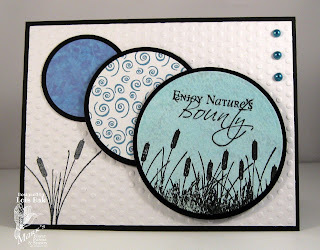 I'm starting off this month's Blog Hop with a CAS card -- just one layer. 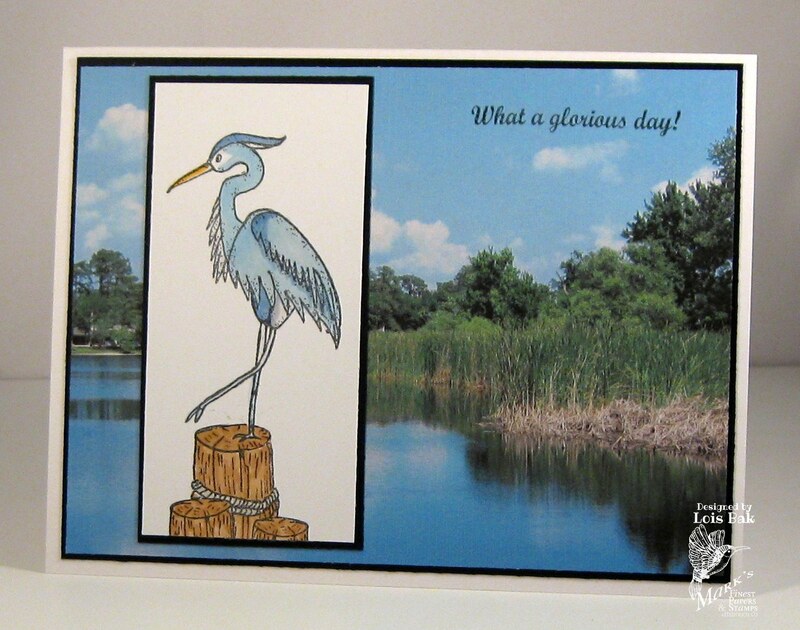 MFP's Premium Heavy White cardstock is 140-pound stock and makes a great one-layer card. 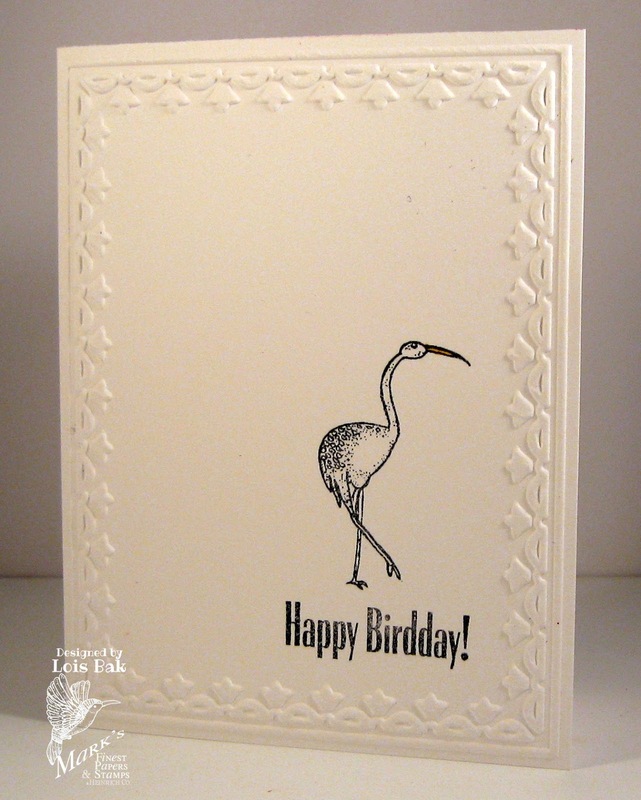 I embossed a border around the edge, just stamped the bird (which may be an ibis, I'm not sure) and greeting -- and I was done. I wanted to share a funny story about something that often happens on my walks. Part of the walk goes through a park on the other side of the lake, and it happened again this morning. As I was walking past the ball field, I heard the distinctive sound of a woodpecker. I'm assuming that it's the same woodpecker each time because he does exactly the same thing every time. I watched as he climbed up the "telephone pole" that holds the floodlights for the ball field. He did not "peck" during his trip up the wooden pole. But, when he got to the top, he climbed up onto the floodlight and THEN started to peck. I'm not sure what he thought he was going to get out of that metal casing on the light. Maybe he just liked the sound. Could be that he's a Jamaican woodpecker, and it sounds like a steel drum! 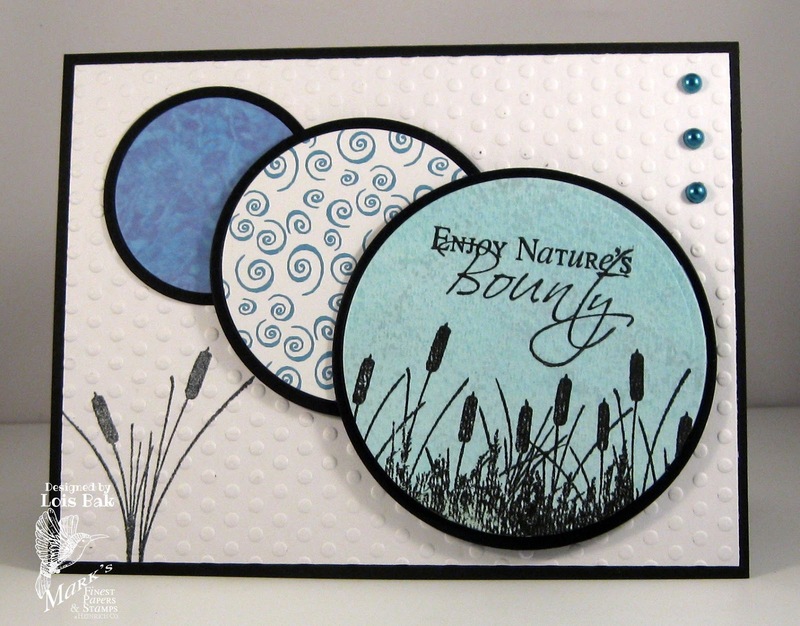 The extra set this month is called Marsh Silhouettes, which coordinates very nicely with today's set. Here is a card I made using that set. 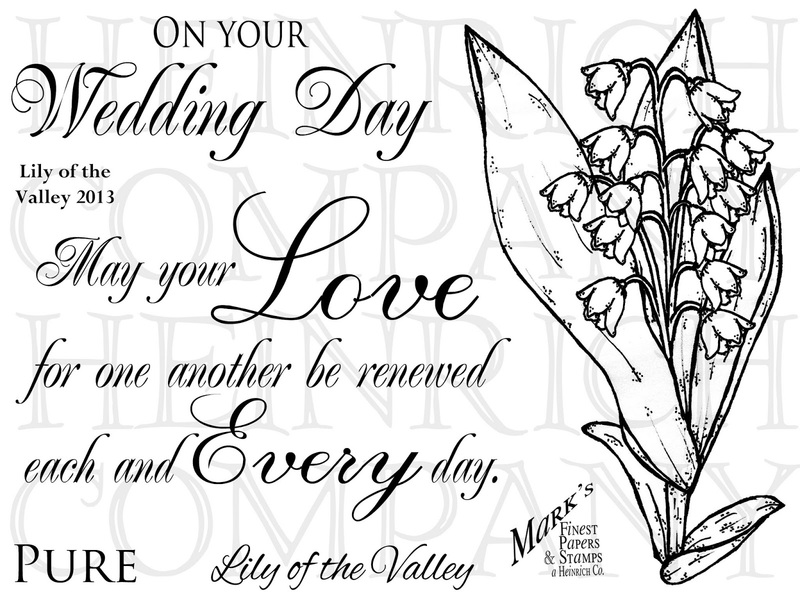 I invite you to check out the cards made by the rest of the design team and comment, comment, comment. 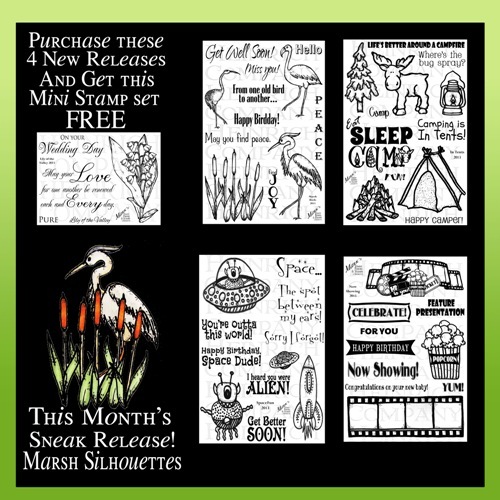 Remember, the more you comment, the more chances you have to win a free stamp set. Today's Speedy Fox and Friends challenge is all about glitter. I have a friend who LOVES glitter, so this challenge would be perfect for her. I, on the other hand, find glitter rather daunting -- and messy! So I chose to use glitter paper rather than actual glitter. I chose not to put a sentiment on my card. That way I could use it for anything. 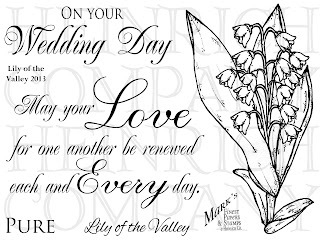 The image comes from a brand-new mini set from Mark's Finest Papers called Lily of the Valley, which will be released on Tuesday. 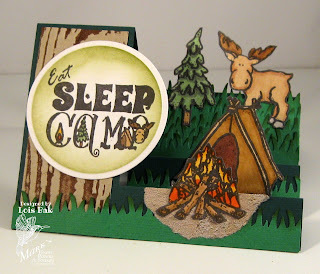 If you'd like to play along with Speedy Fox and Friends (and maybe win a free stamp set), go on over to the MFP Blog and link up your glittery creation. The card I made today was a total experiment. I was on the Technique Junkies Newsletter site and saw an advertisement for their Move It and Shape It CDs. 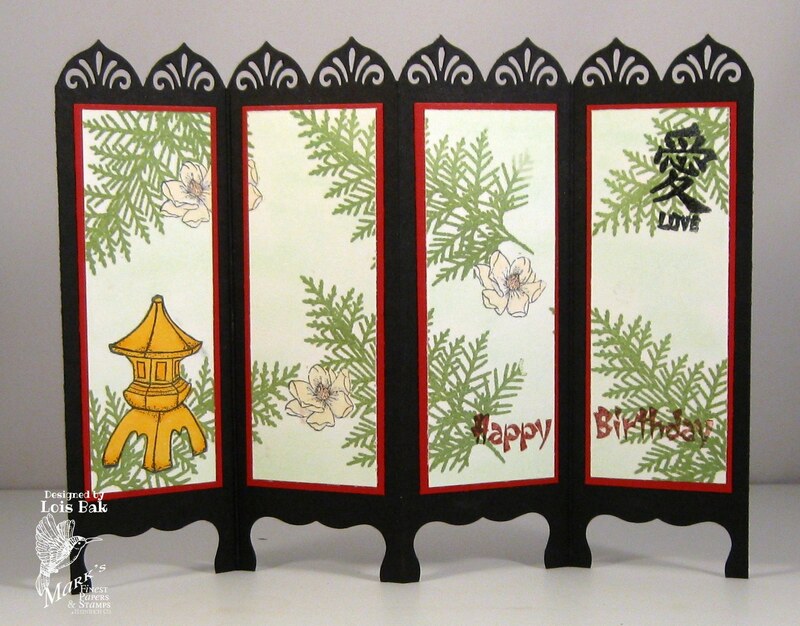 Fortunately, you can link to the pictorial Table of Contents, which I followed and found a very cool Oriental Screen card. I thought I would give it a try. I didn't have the tools that the creator of the card used, but I came pretty close. 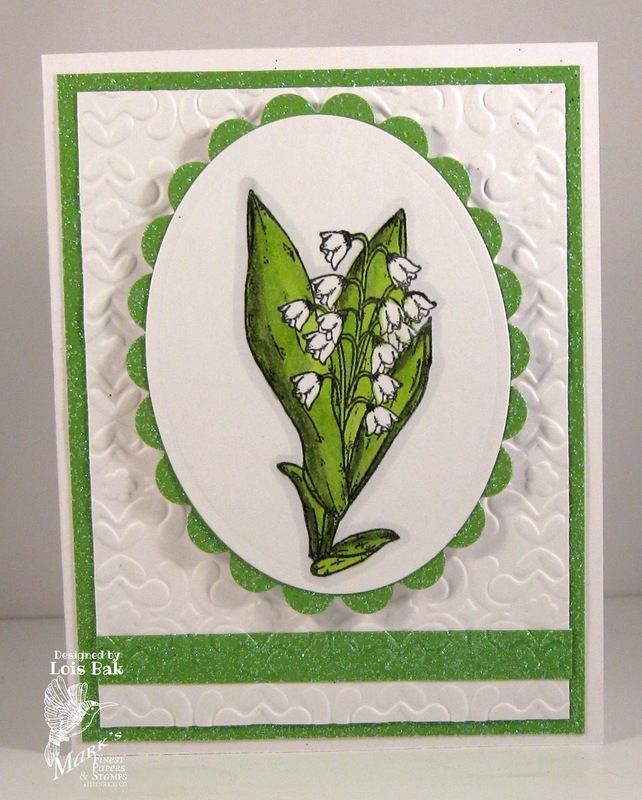 I used three different stamp sets from Mark's Finest Papers on this card -- Asian Delights, Mother's Magnolias, and Marsh Silhouettes (a brand-new set which will be released next week). I figured the most important measurement was across the top with the "scallops," so I cut a piece of black cardstock 5 1/2" x 8 1/2" and then punched the border. It almost made it across. I then just trimmed off the edge and scored between the sections -- which are about 1 7/8". I then measured the centers at the bottom and punched out the "legs" of the screen with the label punch. I cut four red panels 1 1/2" x 3 3/4". I created the collage on a piece of white cardstock 3 5/8" x 5 1/2", which I then cut into four 3 5/8" x 1 3/8" panels. Just to let you know, I fully intend to purchase those two CDs in the future. 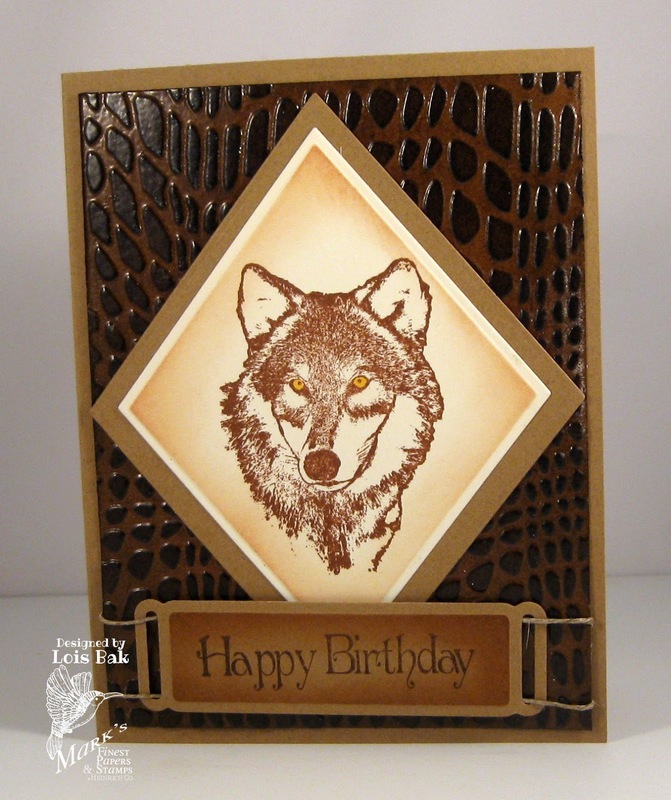 Technique Junkies Newsletter will be participating in StampFest Orlando at the end of June. I will definitely check out their booth! Shirley's challenge for the CCEE stampers this week was to make a clean and simple card using scraps. I'm sure we all have LOTS of scraps. Here's my card, which is a sneak peek image of a soon-to-be-released set from Mark's Finest Papers called Marsh Silhouettes (the cedar leaf). 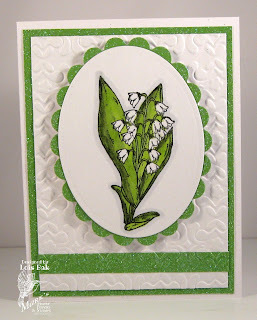 The sentiment panel was made with green and white scraps. 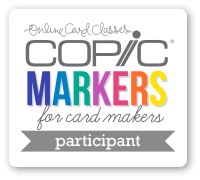 If you've got some scraps and would like to play along with the CCEE stampers this week, we'd love to have you join us. Stop over at our blog. Today's challenge on Speedy Fox and Friends is Faux Leather. This technique is great for masculine cards. 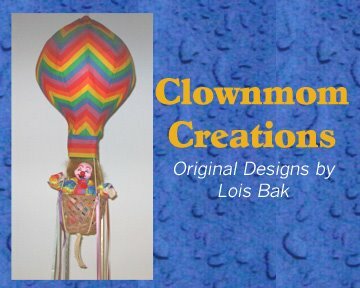 I have a tutorial on my blog for using this technique. 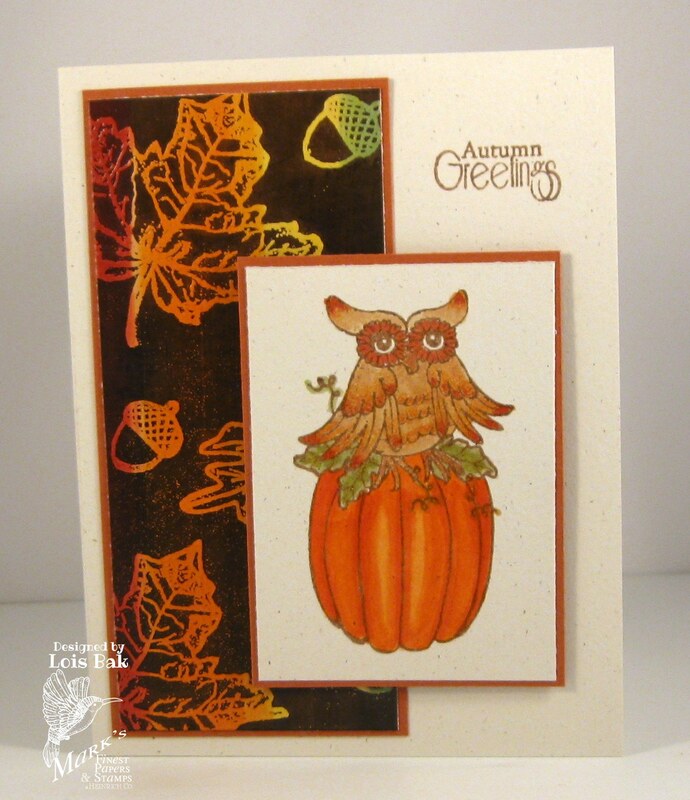 If you'd like to give it a try and maybe win a free stamp set, link your card up to the MFP Blog. 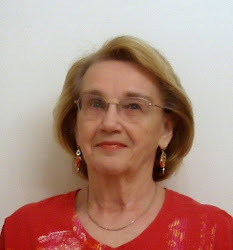 Shirley is the CCEE hostess for May, and she's starting off the month with a great challenge. We were to make a card with shimmer; however, it's hard to see the shimmer on my card. 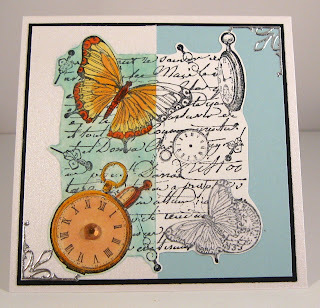 I used SU's Shimmer White card stock and pearlescent chalks. You can see the shimmer IRL, but not so much in the photo. I used a positive/negative technique which I saw in the Technique Junkies Newsletter last year. It's a little different than another positive/negative technique which I have used before. I think this Inkadinkadoo image is one of my favorite collage images. We'd love for you to play along with the CCEE Stampers. Just pop over the the blog and join in on the fun.